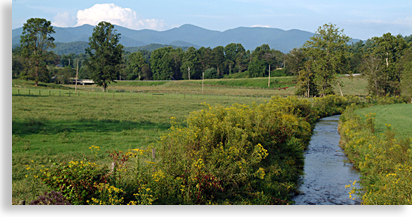 From the depths of Lake Nottely's deep blue waters, to the beauty of Vogel State Park; from the heights of Brasstown Bald, to a section of the renowned Appalachian Trail, Union County, is by far one of the most beautiful and diverse mountain regions in all the Blue Ridge Mountain Province. Mountain vistas stretch beyond the horizon offering an experience that both captivates the eye and moves the soul. Union County is located at the center of the North Georgia Mountains, just below Brasstown Bald’s 4,748-foot summit. Union County is often considered the home of Brasstown Bald, when in fact this high mountain summit hugs the county border between Union County and neighboring Towns County. Technically the bald is just inside Towns County, what often raises the confusion concerning the bald’s geographical location is that the Brasstown Bald U.S. Forest Service, Brasstown Ranger District is in Blairsville - Union County. What does stand as fact in Union County’s claim for height status, is the community of Suches, located in the rugged southwestern mountains of Union County. At approximately 3,000-feet above sea level, Suches is respectively known as Georgia’s highest mountain community. Nearly half of Union County resides in the Chattahoochee National Forest, taking up 98,000-acres, brimming with wilderness lands, wildlife, wildflowers, unique foliage and forestlands. The County is a wonderland of outdoor recreation, events and festivals, a historic downtown, farmsteads and museums, all located in quaint mountain township communities. The landscape is made up of broad valleys and meadowlands, lakes both big and small, and rushing waterways all waiting to be explored. You'll find hiking, fishing, camping, boating, water-skiing, swimming, mountain biking, horseback riding, ornithology (bird-watching), an archaeological site to explore, scenic driving tours, plus there's the nearby Ocoee River for exciting whitewater rafting and kayaking. Across Union County's beautiful mountain landscape you'll find lakes, rivers, creeks, trout streams, waterfalls, campgrounds, hiking trails, horseback riding, mountain biking, fishing, lodging, dining and shopping. If that isn't enough, you will also find, a challenging public golf course, a highly rated municipal park and city airport, a stately community center, a two-year state of at art technical college, the Saddle Club Arena, the Union County Historical Society, the historic Byron Herbert Reece Farm and Heritage Center, a miniature railroad museum, a popular farmers market, a county resident cannery, and the University of Georgia Department of Agriculture's Georgia Mountain Research and Education Center, plus so much more. Union County possess a wealth of natural resources and history along with mountain vistas that defy description. Union County was formed out of the greater Cherokee County which encompassed several of today’s North Georgia Counties. 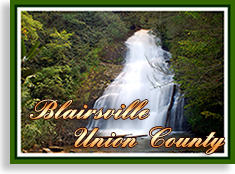 In 1847 Union County was incorporated making the town of Blairsville the County Seat and center of Commerce. 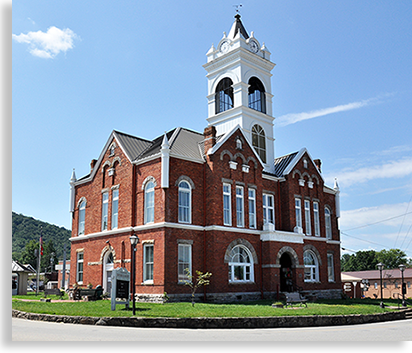 Standing proudly on the center of the town square in Blairsville is the Romanesque-style courthouse built in 1899. The distinctive white clock tower atop the red brick courthouse rises above all structures visible from anywhere within the city limits of Blairsville. What drew Union County’s ancestors to this mountain region was gold fever, spurred on by the late 1820’s gold strike in Auraria near the town of Dahlonega in Lumpkin County which is just south of Union County. The gold rush didn’t persist for very long once greater gold strikes drew the masses of fortune hunters to the distant lands of California in 1849. Even though you can still pan the high-grade gold out of streams and creeks or chisel it from veins of quarts along mountain sides, (with written permission from forestry or private property owners), it was the majestic beauty and isolation of these mountain lands and valleys that kept the people coming to Union County and its mountainous neighboring counties. Today Union County is an ever growing mountain community with county planners paving the way for greater and more convenient commercial services. Highway 515, a 4-laned corridor through Blairsville, has been dedicated the Zell Miller Highway, honoring local native and former Georgia Governor and Senator Zell Miller. This important artery, connects to I-575 to the southwest and leads directly from Atlanta to the very doorstep of Blairsville. It wasn’t long ago that local direction given anywhere in Union County would start out with, “go to the stoplight and turn” (obviously the only stoplight), that would only confuse guests visiting Blairsville today. What hasn’t changed is the ageless personality and hospitality of Union County’s hometown charm; the only difference has been more conveniences made available to this laid back mountain community. The growth of Blairsville has been on a steady march, which includes major corporate chain stores; an ever-expanding award winning hospital and local medical services, new public school buildings and the newly constructed and well-appreciated North Georgia Technical College. The Blairsville Municipal Airport is located approximately 2.5-miles west of Blairsville. Presently the airport runway is 100-feet wide and 5,000-feet long and can accommodate most general aviation airplanes, including single and twin engines, small jets, Citations, and Lear jets. Hangers and tie-down services are available. Fuels offered are 100 low-lead gas, and jet "A" fuel. The airport staff are on duty 7-days a week to accommodate air commuter's needs, including auto rentals, lodging and dining information. The airport is a favorite of small corporate jets, and private owned planes whose pilots love to cruise the open skies over mountain summits and large valleys. Blairsville and Union County, Georgia: Full of festivals and fun, waterfalls, mountains, syrup, and sweet memories. Spring and summer outdoor lovers will hike endless trails, see breathtaking views atop Brasstown Bald, visit rushing waterfalls, and relax on serene Lake Nottely. 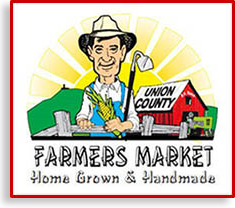 The Union County Farmers Market has over 60 covered vendor spaces in our outdoor setting. 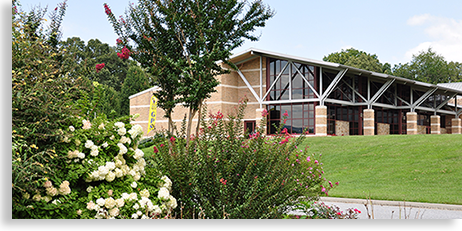 The facility located at 148 Old Smokey Road off of Weaver Road is home to a variety of events and festivals outside of the seasonal market. Those events include a ramp festival, strawberry jubilee, trash to treasures sale, relay for life event, and an outdoor business expo. Enchanted Mountain Retreats is not your average cabin rental company, we pride ourselves with excellent customer service. We treat each guest as an individual and address your needs specifically so that we can tailor a perfect vacation package just for you and your family. We take care to choose the best cabins available to insure that your stay with Enchanted Mountain Retreats is a great mountain experience. Our standards are high and that benefits you, we check your cabin before you check in the make sure it is ready for your arrival. Jack "Mimm" McClure was a famous bootlegger in the mountains of North Georgia from the 1930's-1960's. After Mimm's passing, great grandson, Tommy Townsend, brought his creations back to life! 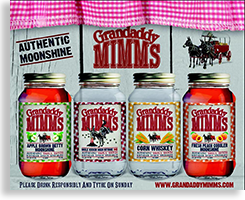 Come visit Grandaddy Mimm's, where you will find a family owned, small batch distillery & gift shop. "Please Drink Responsibly and Tithe on Sunday"
Whether you purchased your mountain home as an occasional getaway, an investment, or the destination of your future retirement, we realize the importance that it be respected as your home first and foremost. It is our objective to provide you with both quality property management as well as a rental program to help offset some of the expense of owning a 2nd home. Through the combined knowledge of all of us at Great Mountain Cabin Rentals, we have the expertise to help you understand and create a Great Mountain Cabin Rental.